Sunday is my radio day: I use to sit in our down stairs room, looking out over the garden, working on some patchwork project, and listening to The Sandwich: a radio breakfast. This Sunday is a sad day: the last broadcasting The Sandwich. 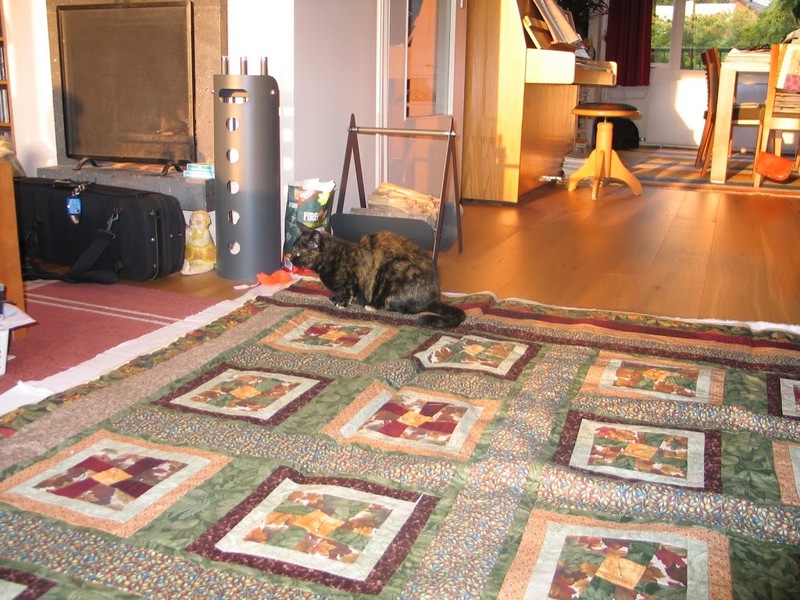 It will be strange to sit there and not hearing Jacques Klöters on the radio…luckily the patchwork will be there to comfort me! And there is a lot of work to do: in October we are visiting friends in Pittsburgh, who have moved into a new house; I am working on a little memory quilt. The nice thing about a memory quilt is, that it is growing while you work on it. Usually I only have a vague idea in mind, and just start somewhere. 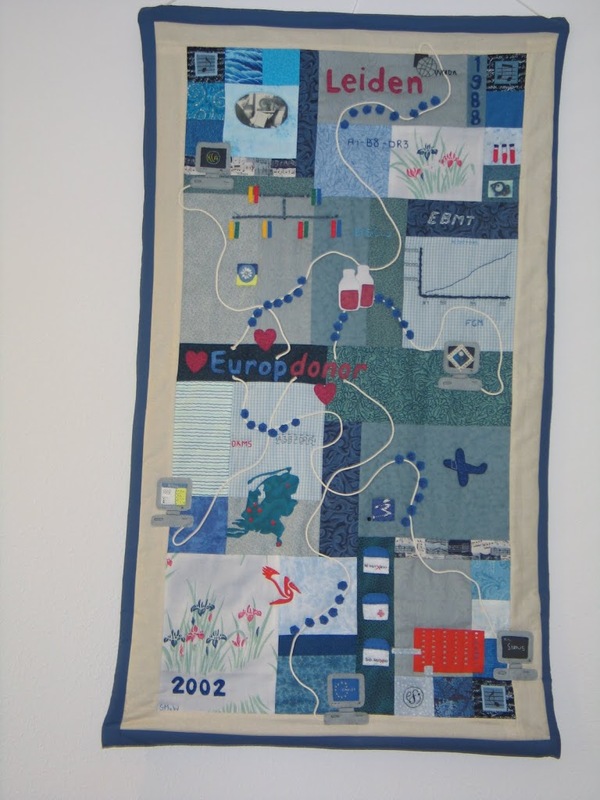 I have made a few memory quilts, one is the Europdonor quilt, made on the occasion of our organization moving into a new building. I have tried to reproduce aspects of stem cell transplantation, the search for a donor and the international collaboration. 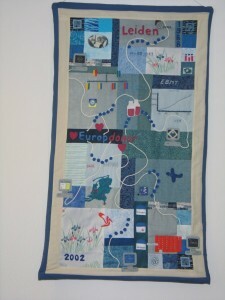 The quilt is hanging in the hall of the Europdonor office in Leiden. During my last visit to the US, I bought fabric to make a quilt for our new guestroom. I decided to use the twisted sister design by Ami Simms ( www.amisimms.com/twistedsisters.html) . Making the blocks is fun and the result is every time a surprise! After finishing the top, I used the living room floor to make the sandwich. Within seconds our cat Lotje decided the new top was a far better spot sleep on. Cats and quilts….they seem to attract each other….